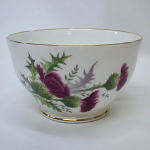 Fine Bone China made in England. 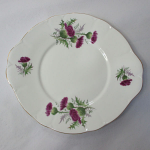 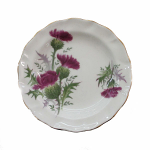 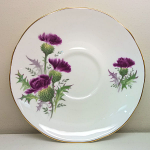 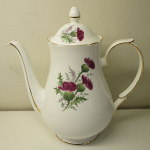 Highland Beauty is one of the most popular patterns featuring a lovely mauve thistle motif. 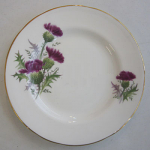 It has a Classic victorian style scalloped edge and subtle embossed feel to suit elegant and fine dining.